We all know how important it is to get antioxidants in our diet. They help to protect us from free radicals, which are known to cause disease. She goes on to talk about how antioxidants are measured, Oxygen Radical Absorbency Capacity (ORAC). 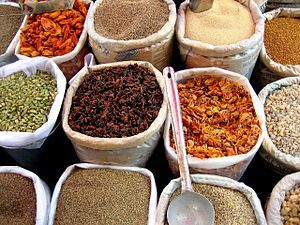 Some of the amounts contained in the various herbs are listed, and some helpful tips on how to include them in our diet. But this is not definitive and a lot more research needs to be done. When I am juicing my fruits and vegetables in my vegetable juicer I often add spices to the mix to make it a little more unique and flavorful. The fresh herbs are always better. I too will add a handful of parsley or a pinch of fresh rosemary, my favorite herb. When you add it to your vegetable juicer just alternate between the fresh vegetables or/and fruit. What If I Told You Vegetables Were In For 2011? In the article “The Vegetable Trend” from the website Nutrition Unplugged, we are told that vegetables will become the new “it” food in 2011, especially home- and locally-grown vegetables. This trend is predicted even though only between one-in-five to one-in-ten people consume the daily amount of vegetables. One of the reasons given by the author for the rise of local produce is the concern over safety and the labor practices of the countries that supply produce. Look for this trend to American regional vegetables to make stars of sweet potatoes, root vegetables, and dark greens. Looking forward to the tasty, springtime goodness of veggies is just one more reason to make it through the long, cold winter. See you at the vegetable stand.